First up, let’s talk about Nick. He’s a messed up man, as we have seen. 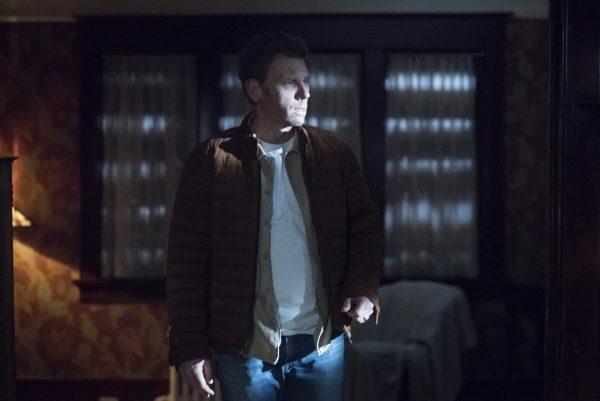 The path of death that he’s left behind as Lucifer is understandable, but the possession left him with a taste for murder and a need to never take the blame for what he’s done. Masked as being motivated by seeking vengeance for his family’s deaths, Nick has turned towards the darkness. He had no qualms about killing the guard to make his escape, but when he reached his house, that’s where it became clear that we’ve lost him forever to Lucifer. His dead wife, the one he claims to have been doing all this for, is not the one he chooses. She’s been stuck in the house since she passed away because she has unfinished business. It’s not her unsolved murder that was keeping her there, it was what Lucifer did to Nick. If he will just reject Lucifer, she can finally be free and find peace. For a man who claims to love his wife and was motivated through his actions based on his devotion to his family, it’s a promise he could not make. Given the choice between saving his wife or accepting Lucifer once again, he wants the Devil. Perhaps he lived too long with Lucifer in his head, so much so that he doesn’t know how to be without him. Whatever the reason, Lucifer’s sure to be back real soon. Meanwhile, we’ve got other religiously-motivated murder going on. A man seemingly motivated by the power of God was pushed to torture and murder a woman in a tub of saltwater, then a man whose throat he slit. Both were given ritualized markings in Enochian to declare “I Am The Word.” Creepy and pretty much right up the Winchesters’ alley. It was only a matter of time before they caught wind of it. And thankfully Sam did find them that case because the lead-up was overall depressing in light of what was to come. Dean’s having nightmares of being sealed in the underwater box forever and reflecting on all his life’s regrets. In comparison to that, a case involving ritualized killings was almost a relief. So, we soon find out that the murderer is Tony Alvarez. He’s a religious guy, even got a tattoo on his arm in Enochian meaning The Word, so that fit with the clues thus far. 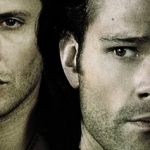 But the reason behind his temporary insanity falls on Cas’ shoulders a bit. Tony was set to be the next prophet after Donatello passed, but with Cas forcing Donatello into that no-man’s land between life and death, it’s upset the order of things. Prophets can’t rise properly and instead they get a messed up mind, like Tony. While the boys did manage to make it in time to save Tony’s third victim from being burned alive, they did not save Tony from his own insanity. And with Tony’s death, it still didn’t solve the underlying problem of why this was happening. Until Donatello truly passed and the clear line of prophets was restored, there would be more insane people motivated to kill under what they assumed to be God’s orders. So, off they go to the nursing home where Donatello is now residing, either to end his life once and for all or bring him back, though the latter seemed unlikely. But never let it be said that miracles cannot occur. Cas returns Donatello back to the land of the living, though still without a soul, and the case seems to be resolved. Go team! 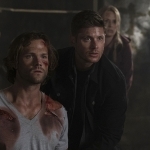 Which means it’s back to the somber reality of what’s ahead for Dean. I was feeling the same way Sam was, with all his frustration and anger over Dean giving up. 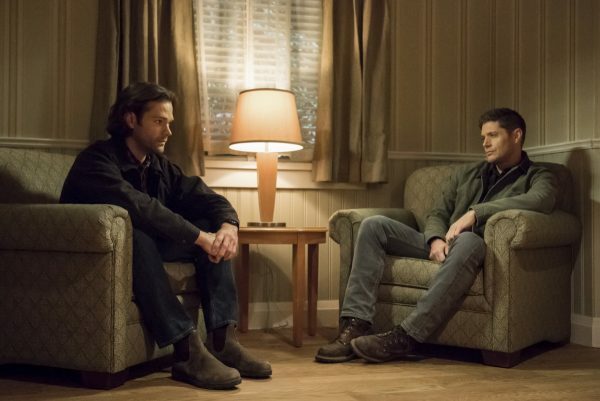 He wants Dean to keep fighting, not just quit and go through with his suicidal plan. And he let loose his anger in physical ways as well, with a punch and a hug and lots of tears. And that’s what finally broke through to Dean. 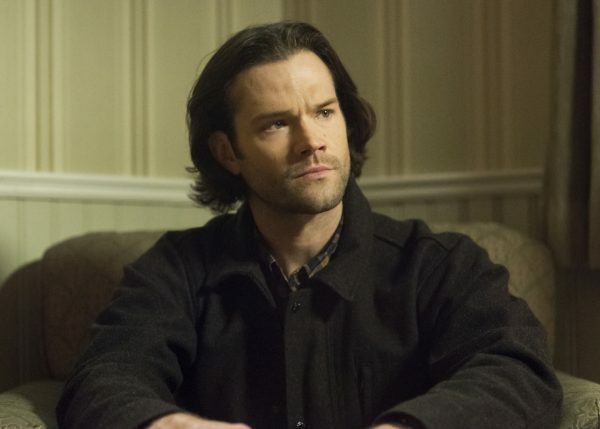 Sammy’s not giving up on him and he shouldn’t give up on himself either. Miracles do occur, and they could find a solution that doesn’t involve Dean in a box at the bottom of the ocean. 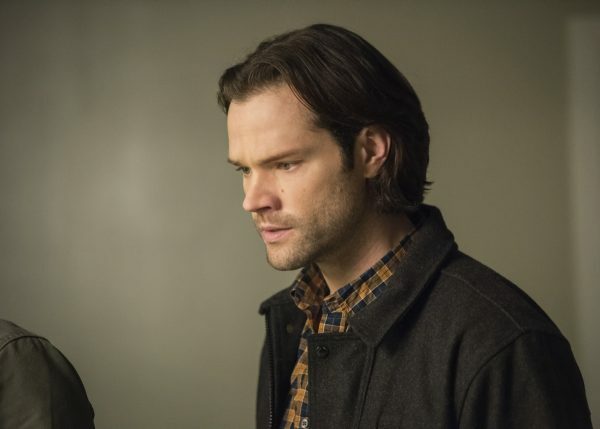 Dean believes in them and he’ll keep believing until there’s absolutely no other way, but when or if that time comes, Sam’s got to do what he promised he would. Let’s hope it never comes to that.